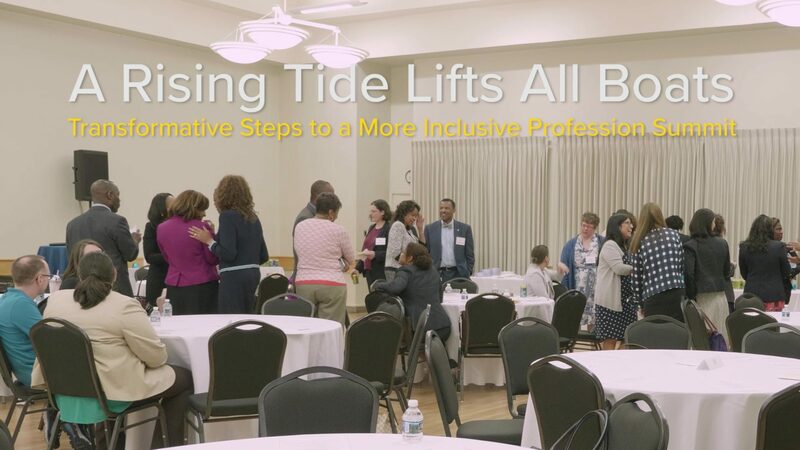 The MSBA’s Diversity & Inclusion Committee and Membership Committee hosted “A Rising Tide Lifts All Boats: Transformative Steps to a More Inclusive Profession” on May 8, 2018, at Kahler Hall in Columbia, Maryland, to address the importance of diversity and inclusion within the legal profession and the bar. Diversity & Inclusion Committee Chair Yolanda Sonnier said that the event was designed to “open the conversation of diversity, equity, and inclusion, not only in the legal profession but also within our communities at large, and to walk away with action items” while also raising awareness of the Committee and its work. Sonnier added that the conversation at the program would be used to develop workshops and further discussion points for a conference planned for later this year. From housing issues to civil rights issues, “we need lawyers in every area and every facet to be involved and dedicated to diversity and inclusion,” said Membership Committee Chair Michelle Wilson. The evening included roundtable discussions as well as a keynote address by Kristen Clarke, President & Executive Director of the Lawyers Committee for Civil Rights Under Law, who spoke on the importance and benefits of diversity and inclusion in the workforce.